NICK BRANDT USES his moody portraits of elephants, giraffes, and lions to call attention to Africa’s vanishing megafauna. His latest series, Inherit the Dust, imagines these beautiful creatures wandering landscapes they’ve long since been driven out of. 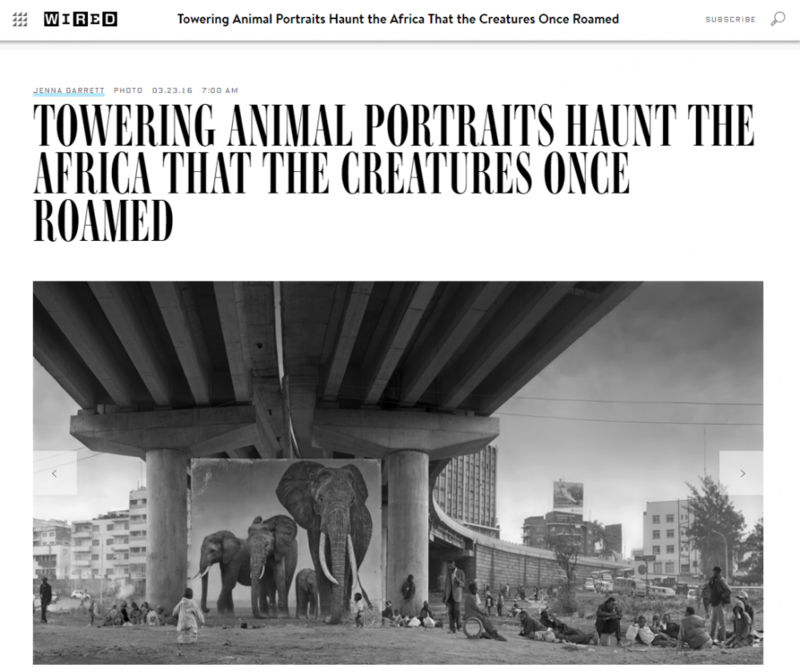 The series, compiled in a photo book of the same name, features life-size portraits of the animals looming in sweeping panoramas of garbage dumps, highway underpasses, railways and construction sites in Kenya. The jarring and powerful imagery is part of Brandt’s lifelong dedication to highlighting the plight of Africa’s increasingly threatened wildlife.